A view of Neville Island and Shenango Coke Works. 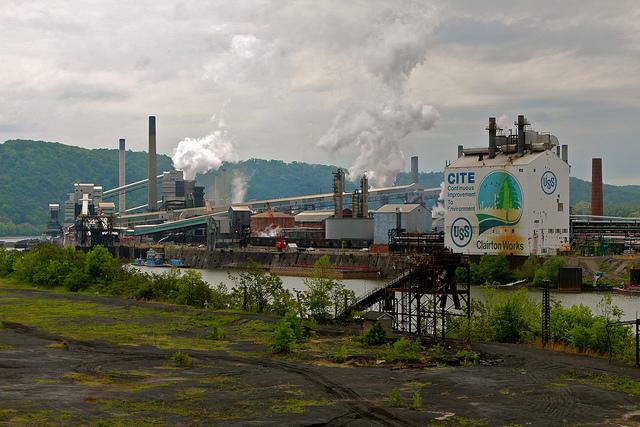 The Shenango Coke Works on Neville Island has consistently violated local clean air regulations leading some citizens to ask why the Allegheny County Health Department doesn't shut the plant down. We pose that question and more to Jim Thompson, Air Quality Program Manager for the Allegheny County Health Department. Hear from Bellevue resident Ken Holmes and other local residents who are concerned about air quality in the area. @esspgh the mother of 3 young children - the smell is overwhelming. Can't imagine the harm it is causing to their young lungs. 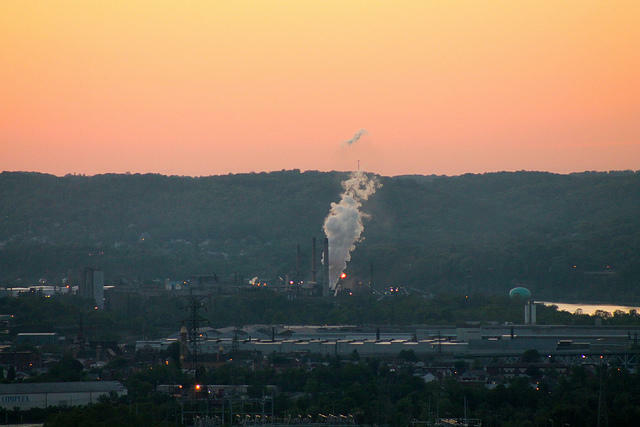 @esspgh @905wesa No xcuse for bad #airquality at coke plants. Ongoing for years, no change. Shut em down. Turn Neville isl into a park! Group Against Smog and Pollution - G.A.S.P. Pittsburgh does not have the best air quality in the nation- far from it- but ask anyone who grew up in the city before the 1950’s and they’ll tell you that it used to be much worse. Smog blanketed the city, leading to days in which the streetlights were kept on around the clock. The era of Pittsburgh being known as “hell with the lid off” ended when Mayor David Lawrence began enforcing the Smoke Control Ordinance in the late 1940s. Doctors and scientists are being called upon to speak at the hearings being held this week in Pittsburgh over the EPA’s new Clean Power Plan. To asses the new plan from the health angle were Dr. Alan Lockwood of Physicians for Social Responsibility and Kevin Stewart, director of Environmental Health American Lung Association of the Mid-Atlantic. Dr. Lockwood believed that the new regulations would be a huge step toward improving air quality. The Allegheny County Health Department (ACHD) is asking for public feedback on its 2014 Air Monitoring Network Review, an annual report listing where and how air pollution is being measured. The 78-page document, required by the U.S. Environmental Protection Agency, includes the location of monitoring stations, the process used to monitor the air and the pollutants detected at each location. Officials say air quality in the county around Pittsburgh met federal standards for fine soot pollution for the first time in 2013. Allegheny County Health Director Dr. Karen Hacker says in a Friday statement that the news marks "a huge leap forward" in efforts to improve air quality. 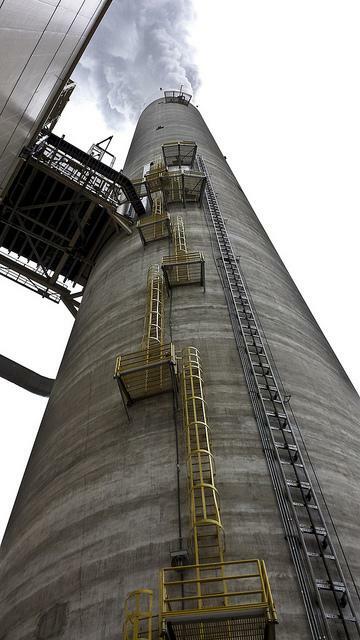 All eight monitoring sites in the county met standards for fine particulate pollution, which can come from coal-fired power plants, autos and trucks, and plants that produce coke for steel mills.